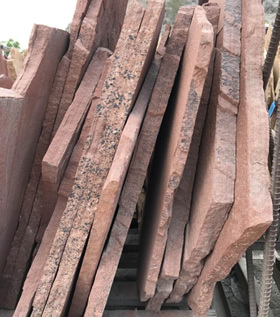 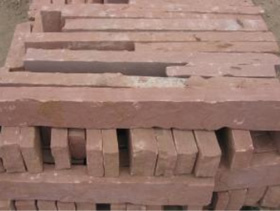 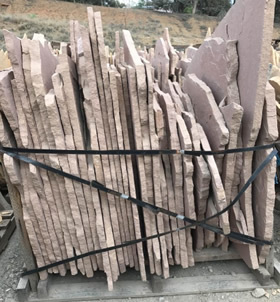 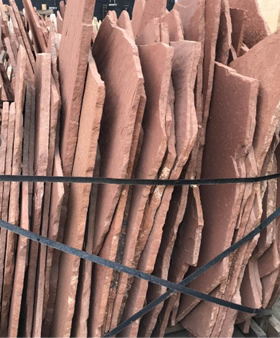 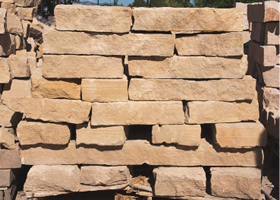 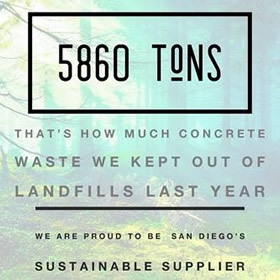 Sandstone is a local stone coming from Arizona, that ranges in the lighter buff oak tones to a Rosa pink and Sedona red. 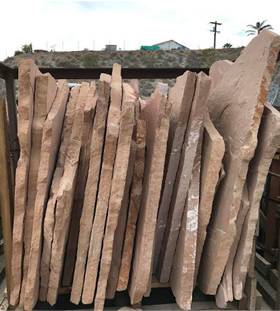 Arizona sandstone is versatile that it's color tones are so close to each other its common to blend a few colors together on one project. 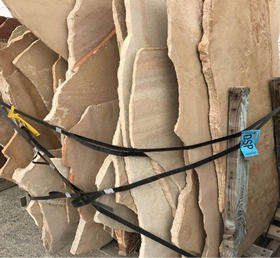 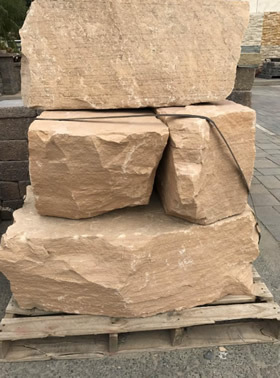 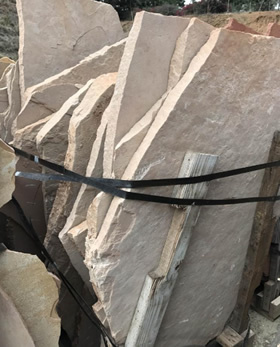 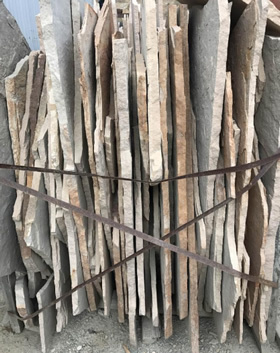 You'll find some natural striations in the stone (looks like lines) and natural sloughing does occur, so it's best not around or in water heavy areas. 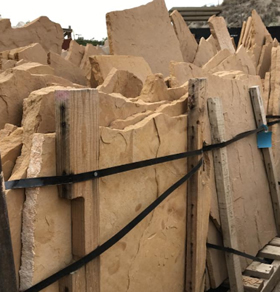 These bench blocks or large bouldars make for great garden accents or for even a firepit surround with a few next to each other.